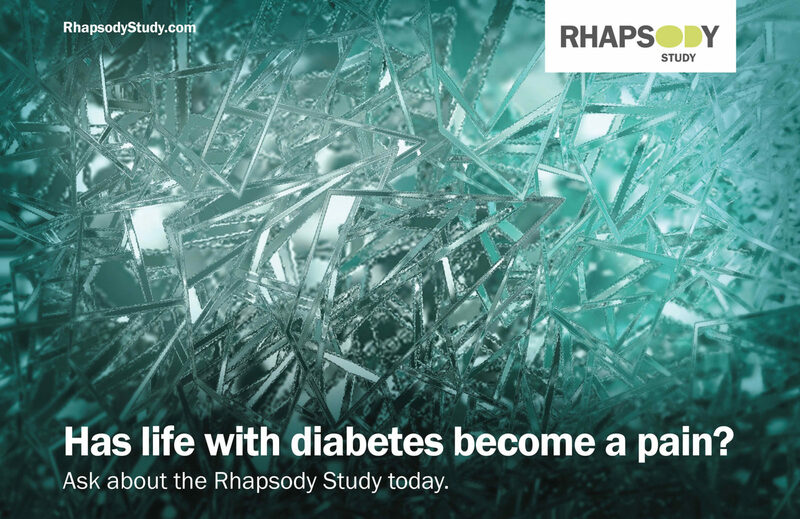 A well-known pharmaceutical company came to us with a unique need – recruit patients for a very specific clinical research study. 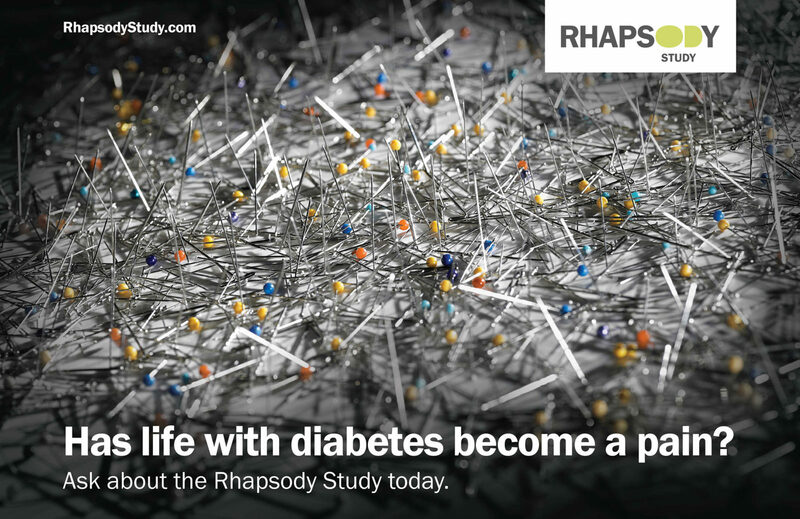 The patients needed to be diabetic. They needed to be experiencing painful neuropathy in their feet. They needed to be over the age of 50. We needed to reach these people with a message that would resonate and entice them to act. How do you bring to life pain you can’t see? 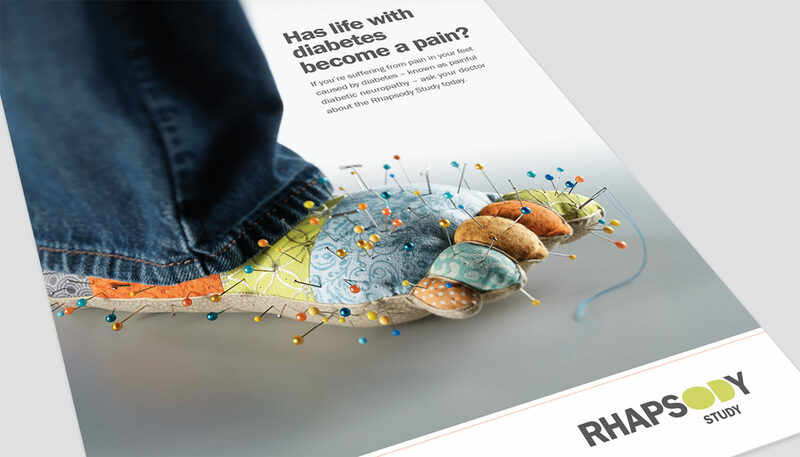 With a striking visual that was impossible to ignore – replacing a person’s feet with a pincushion. This metaphor came directly out of research we conducted, and became the key visual for our mass media campaign that included TV, digital, and print. 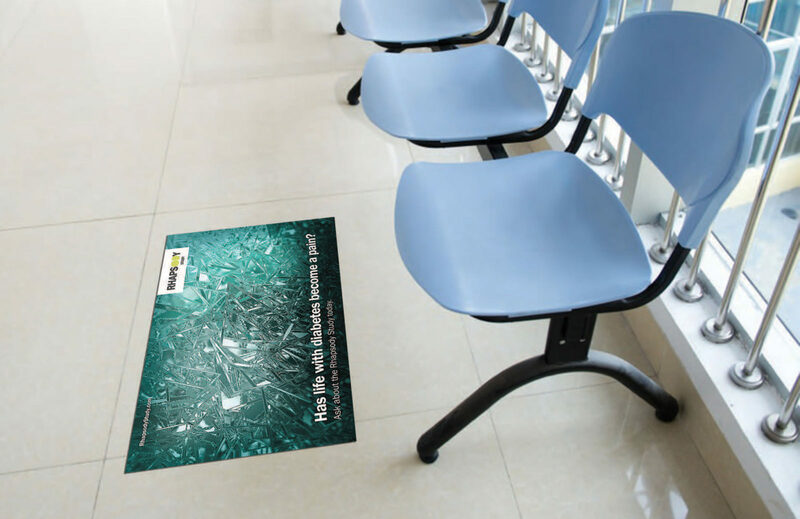 We even printed floor graphics for doctor’s offices that featured more painful metaphors directly inspired by our research – hot coals and broken glass. Targeted TV allowed us to spread our message to a wider audience. 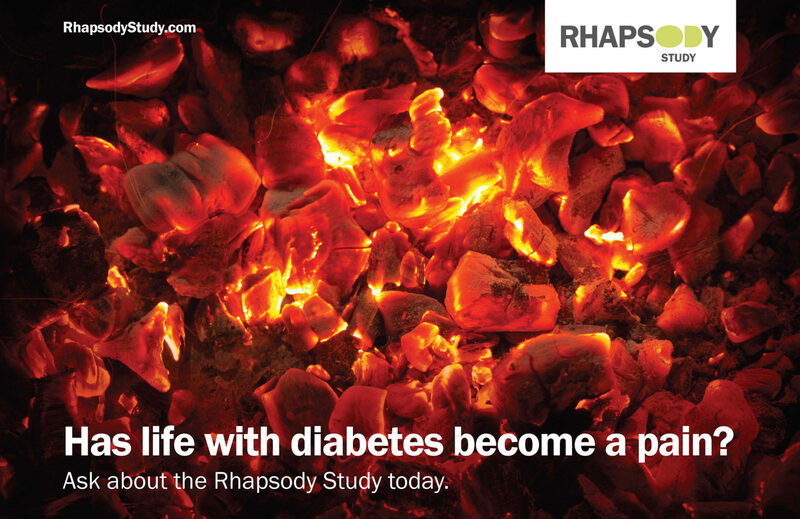 We supplied sites with everything they needed to run a successful study. 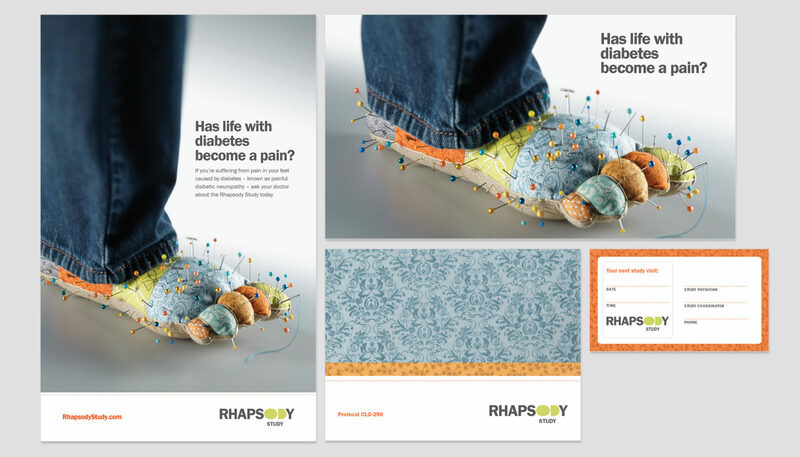 We created floor graphics for doctors’ offices with more painful metaphors inspired by our research. Our effort not only got our audience to sit up and take notice, it got them to act. The TV generated 16,108,501 impressions and the campaign website logged 49,125 unique visitors. The entire effort led to 1,159 inquiries and 365 prequalified patients.